It is raining. Boo. But it is Friday. YAY. Here are some dance things to do to take your mind off the hideous weather. Have you got your Louise Lecavalier tickets yet? Get on it, they’re going fast. Still need more info? Why not come to our free Speaking of Dance Event, Thursday October 27 at SFU Woodward’s Audain Gallery, 7pm? It’s free, and Kaija Pepper will walk you through Louise’s career, her importance to the international dance scene, and her role in shaping contemporary dance. Saturday, at the Shadbolt Centre, it’s Twilight at the Oasis, a showcase of Egyptian cabaret, tribal fusion, sword balancing, gypsy, American tribal style, and folkloric Middle Eastern dances. Includes a performance by Jim Boz. 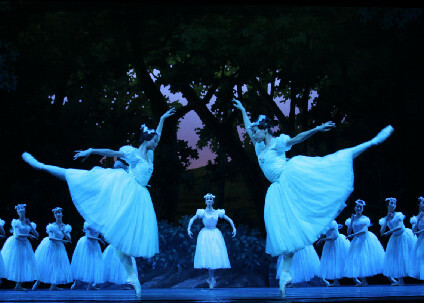 Photo: Guangzhou Ballet’s La Sylphide. ~ by DanceHouse on October 21, 2011.